Ranked high on the “what gear is the best” most frequently asked questions list, right next to the daunting task of finding the ever elusive “perfect” running shoe, is the topic of hydration packs. In an online forum for female obstacle course racers I frequent, I’m pretty certain this topic is brought up daily, and each time the answers vary wildly. You see, I’ve come to realize that there is no one “best” hydration pack. There are many that are better quality, and have far better features than others. But just like picking out a pair of running sneakers, hydration packs are going to fit each person differently, for no two people have the exact same physical build (in theory). In our home, hydration packs are a priority piece of equipment. 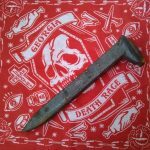 In fact, it may be the one gear item that we have the most of (second of course to shoes, and just barely outranking the numbers of bikes and cats combined, which is a feat in and of itself). I’ve been fortunate to have the opportunity to test and review a number of different hydration packs over the last few years, and I’ve found out exactly what I like, and what I don’t like, depending on the specific sport I intend to use it for. 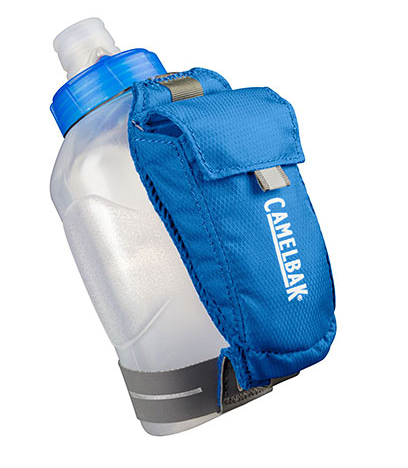 Earlier this summer, CamelBak contacted me asking if I would like to review a few of their products, and I assured them that we would put them to the test. 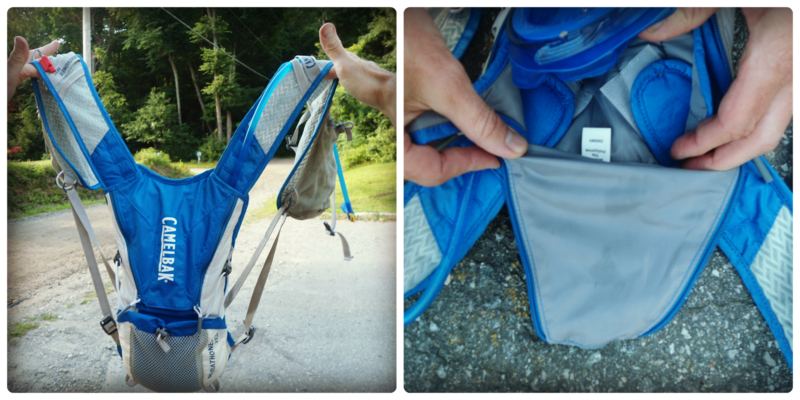 Last summer, I had the opportunity to review the CamelBak Ultra LR Vest, the counterpart to this particular style of CamelBak. I loved absolutely everything about this pack, except for the fit. Having the bladder in the lumbar area gives that pack a lower center of gravity, which resulted in a lot of ill fitting straps around the shoulders of my smaller frame. In turn, the ill fit resulted in bouncing of the pack, chaffing, and just an overall discomfort. I had hoped that the Marathon LR Vest, which has the hydration pack on the back in a more traditional fashion, would fit me slightly better. I experienced the exact same issues: inability to get a proper fit (the pack was just too big). I do not fault CamelBak for this, as I have a smaller frame and shoulders, however, I truly wish they would make these two vests in a women’s version. I love everything else about them, the style, the colors, the pockets, the function…just not the fit. Fortunately, however, my live-in media team (photographer, wear tester, coach, motivator, partner in crime, cat litter scooper, and boyfriend, Geoff) was able to put the Marathoner Vest to the test. The Bad: Basically, Geoff loved everything about the Marathoner Vest except for the difficulty dialing in a specific fit. The shoulder straps are adjustable with a long Velcro closure, to make the vest longer or shorter, and he felt that while it wasn’t necessarily a difficult process, it was tedious to do trail side if adjustments were needed mid run. The chest straps are easy to adjust, but often slip while running, requiring constant readjustment. . His suggestion would be some sort of locking mechanism on the straps to ensure the buckles do not slide with movement. The Good: Geoff loved that this pack is slightly smaller than the Ultra Vest, and therefore is more comfortable for shorter runs. The pockets on the front are incredibly convenient, as you can access items such as nutrition, camera, cell phone, etc, while on the run, and not have to stop to take the pack off to access back pockets. The bite valve is easy to use, and has a locking feature to prevent any leaking (though even unlocked, we haven’t experienced any issues with leaking while running). The Antidote reservoir, with a detachable hose, allows for easier cleaning and assembly/dis-assembly of the pack. Overall, Geoff gives it 4 out of 5 stars. Which is a great ranking, if you consider the aforementioned fact that we have more hydration packs than cats and bikes combined (and surprisingly, use them all). 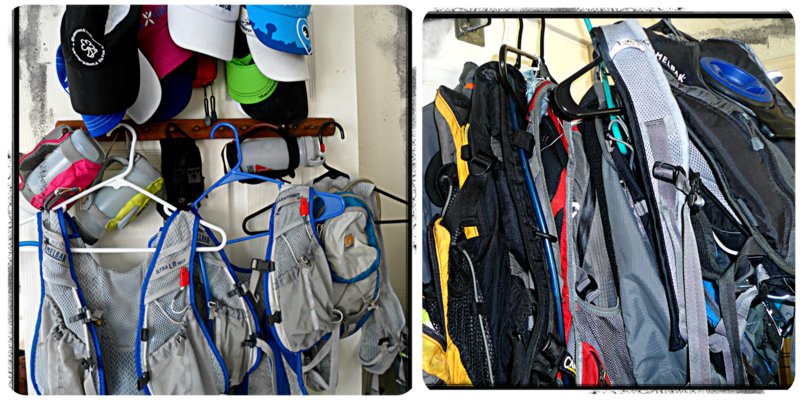 As you can see below, however, the CamelBak Marathoner & Ultra Vests have gone into the “most frequently used” rotation (left), which I believe speaks volumes for the product. I won’t lie, when I pulled this thing out of the box I said out loud “awwww isn’t this CUTE!” and my 6 year old said “mom, is that for me?”. The ARC Quick Grip bottle is tiny, and I have small hands. However, there are many benefits to having such a tiny bottle. The ARC Quick Grip is perfect for shorter runs, where you really don’t need to bring along water, but want to just in case. Or, for longer runs, the ARC Quick Grip filled with an endurolyte drink would be an excellent supplement to a water filled hydration pack. The bottle is indeed lightweight, no surprise there, but it certainly fit my hand like a glove. It was effortless to run with, so this bottle might make a good “transition” bottle for someone who wants to start running with a larger hydration option, but doesn’t like the idea of carrying things. The valve was very unique for a sports bottle, in that it twists to give varying water flow: from a locked position with no flow, to the fully open position, where you were able to simply squeeze the bottle with your hand to receive a jet of water. The pocket on the bottle is large enough for a gel or a set of keys, but it wouldn’t even hold a credit card, and certainly not a cell phone. Overall, I have zero complaints about the function of this bottle, in fact, it’s fantastically designed, and I would love to see it in the exact same shape and design, only in a 20 oz version. I can’t see this bottle going into my regular training gear rotation. However, I could absolutely foresee myself using this bottle for a well supported race, to ensure that I had a few sips of water available to me between aid stations. What are some MUST HAVE features you look for in hydration systems? Have you found your “perfect fit” yet? 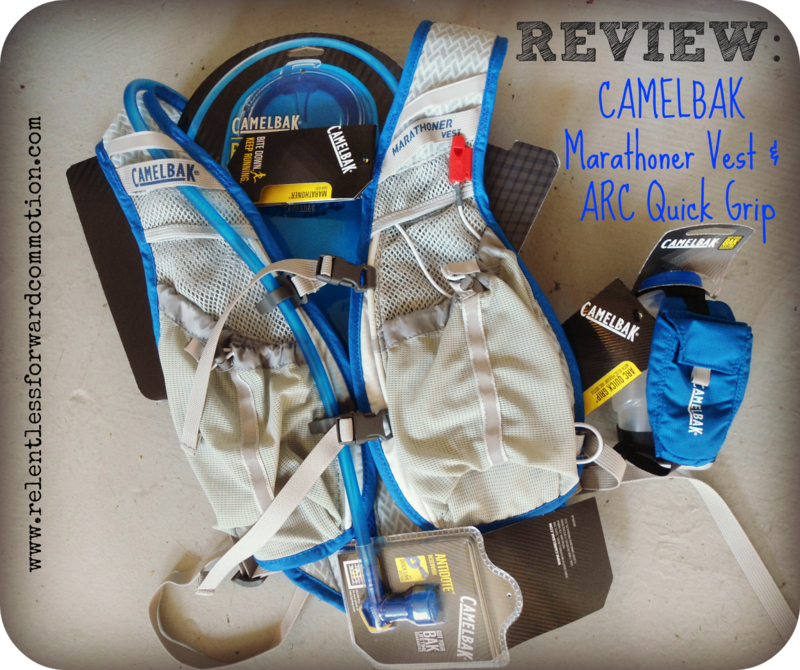 *note, the Marathoner Vest & ARC Quick Grip were provided to me for review at no cost, however, all opinions expressed are my own. 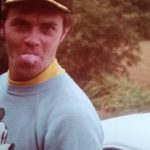 « Ebb, Flow & FOMO: a note to all non-elites. Thanks for your great reviews! I have always thought about doing a hand-held bottle but have been nervous that it would be uncomfortable. I have the Camelbak Quickgrip and while I sometimes have to switch hands because 21 ounces of liquid can get heavy, it holds well for a round bottle and I have gotten a lot of use out of it. Have considered one of the small ones as well. I have an Ultimate Direction handheld which is meh (I can’t figure out how to use the bite valve efficiently, even after a year! Yes, I’m lame), and a Nathan Intensity hydration pack, which is pretty excellent. 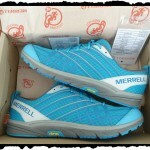 Specifically designed for women, very adjustable, very comfortable for me (I’m tall and skinny). I wore it for a 50K in the rain — the front pockets could hold 1000 kcal of nutrition and it didn’t chafe even after 8 hours. Good product. Today I was able to dial in the fit. Running with this pack and no shirt is excellent. 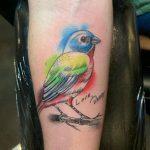 I suffered no chaffing at all. I think I also forgot to mention the ease of filling this bladder with ice, far superior to the Camelbaks are started mountain biking with in the 90’s. I think this pack will be my “Go To” pack for the rest of the summer.